Motherhood.com.my is marketplace for parents and expecting mums to shop for products and services covering maternity, newborn, baby, toddler and kids. Motherhood also provides valuable information testimonials to help couples through their parenting journey. You can locate the most entire scope of baby products online, covering categories from diapers, feeding, baby food, bathing accessories, strollers, car seats, bedding and nursery items, baby fashion, maternity wear, wide range of toys and kids educational materials. Motherhood sold only the trusted product and brand on the website. Buds for kids is a range of toiletries created just for the environmentally aware kids. Offering a wide range of baby care products, Buds Malaysia consists of multiple ranges of organic baby care products that will keep your baby safe and healthy. With its preservative-free cleaning products, Buds also consists of organic botanicals that are effective and affordable. Prevent those rash from coming out with Bud’s amazing cleaning product range. 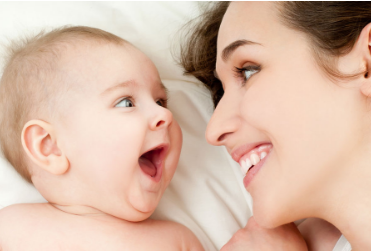 Pet Pet is one of the product that Motherhood supplied by which were designed with a philosophy in mind “A happy baby equals to happy mommy” strives to design the best diaper that gives babies delicate skin the maximum comfort and having pleasant motherhood experience. Choose the right diapers by choosing your diapers from the wide range of diapers available in Pet Pet. Developed with special attention, Pet Pet will ensure your babies an everlasting comfort he needs. The new Pet Pet tape diaper apart from being skin-friendly also has a host of other features which was carefully thought through for the comfort of babies and the convenience of mothers. To ensure the safety of your baby throughout the car ride, strap your baby in with one of the baby car seats by Maxi Cosi. Maxi Cosi was the well known products that ensure your child in car set safety. With decades of experiences, Maxi Cosi has been developing easy, practical ways of transporting children safety by car. With a variety of products ranging from baby carriers to baby car seats, and numerous styles and designs for both, you can ensure that your baby will be safe and stylish at the same time. Have a safe travel journey for your kids with the addition of the light baby car seats from Quinny Maxi Cosi. Quinny in Malaysia is made with dedicated care, their baby carries also feature ergonomic handle for extra comfort while carrying. Motherhood helps you with the solutions to face small challenges that every parents faced.